#ShannyValDiaries: How Do I Keep Up To Date with Soca Music? It’s officially soca season in Jamaica & I am super excited!!!! The main reason why I love Carnival is definitely the music!…I LOVE SOCA MUSIC! So by January I usually know all the songs. This year it was easier to get access to all my music thanks to a few apps & some trusted YouTube Accounts. People always ask me how I keep up to date with my soca & these are my not so secret weapons. It’s 16 days to go until Road March 2017 so I compiled my top 25 2017 Soca Songs. These are the 25 songs that I am looking forward to hearing on the road. I can’t believe its been a year already! I am still on high from Road March last April. Every time I remember how amazing my jump was I can’t help but smile & thanks to YouTube I can watch it over and over again. Welcome to Part 2 of my Dry Land Tourist expedition to the beautiful Paradise Island in The Bahamas. We decided to skip training & head to the Aquaventures Water Park at Atlantis but before our little adventure we had an informal lyme at Starbucks. This was my second trip to Starbucks (I went for the first time the night before) & can I tell you how frighten I was lol. It wasn’t my first time having coffee, here in Jamaica we have numerous coffee shops the most popular being Cafe Blue (Jamaica’s Starbucks) & Rituals (Trinidad’s version of Starbucks); I guess I was a victim of mass marketing (via YouTube) lol. Anyhow… our little lyme gave us a chance to chit chat with some fellow Rotarians. I can’t believe it is March already! February seemed shorter than usual to me but that can be attributed to my constant prayers for our General Election to be OVER! Nonetheless, February came & went & these were the things I was loving all month. The positive message of this song in the main reason why I fell in love with it & thanks to some experiences in February it was my go to song for motivation all February. 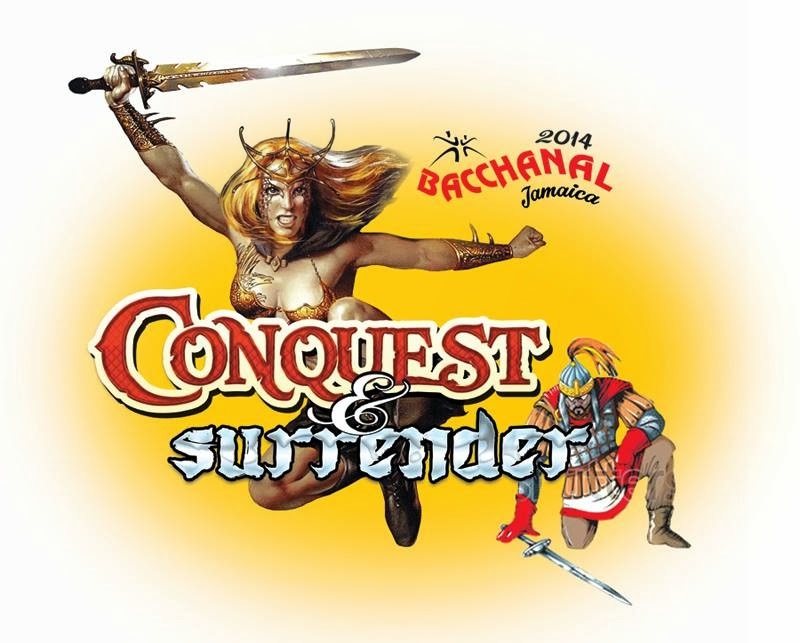 It’s Bacchanal in January! Usually I wait until the launch of Bacchanal Friday but since I declared this year my “Carnival Year,” I decided that I wanted to be there from the start. I also, wanted to scope out the costumes seeing that I am interested in playing Pretty Mas this year. I wasted no time when the early bird tickets were released, I asked a friend to swing by Mas Camp a day before the early bird was originally scheduled to end. As usual my Friday work day was eventful so I was a bit stressed/tired by the time I went home but I was looking forward to hearing some good soca music & seeing some pretty costumes. Once I got to the parking lot, I was already in a Merry mood! On entry to Mas Camp I received so many goodies I didn’t expect to even get. I got a Smirnoff mason jar, a Heineken cup, tiaras & beads. About a month ago, my friend in SXM posted a flyer for an event in Anguilla which was going to be headlined by Mr. Soca himself Machel Montano! Immediately my heart sank, because I knew I wouldn’t have the time or money to sort out making the trip to Anguilla. You see I have never had the opportunity to see the King of Soca perform live. I have seen him at Jouvert in Jamaica but never ever seen him live & direct. As faith would have it the genius promoters of Appleton Dream Weekend billed Mr. Double M as the headliner for their Dream Jouvert! Carnival in Jamaica has come & gone. 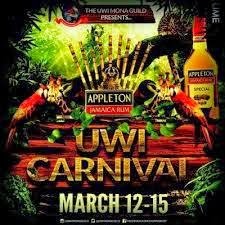 Unfortunately, I didn’t get to play pretty mas with Bacchanal Jamaica but luckily I did get to experience UWI Carnival. Jamaica’s Carnival season runs from January to April. My love affair with Carnival started when I was younger. I last played mas in Kiddies Carnival when I was in first form in 1997. At that time, there were two bands “Jamaica Carnival” & “Bacchanal Jamaica”. When Jamaica Carnival ended I took a sort of hiatus from soca but as faith would have it almost 10 years later I rekindled my love affair. I love playing pretty mas but my heart is devoted to the “dutty” ways of Jouvert! I love the colours & the vibes of Jouvert, so it is no surprise that it is my favourite part of the whole Carnival festivities. 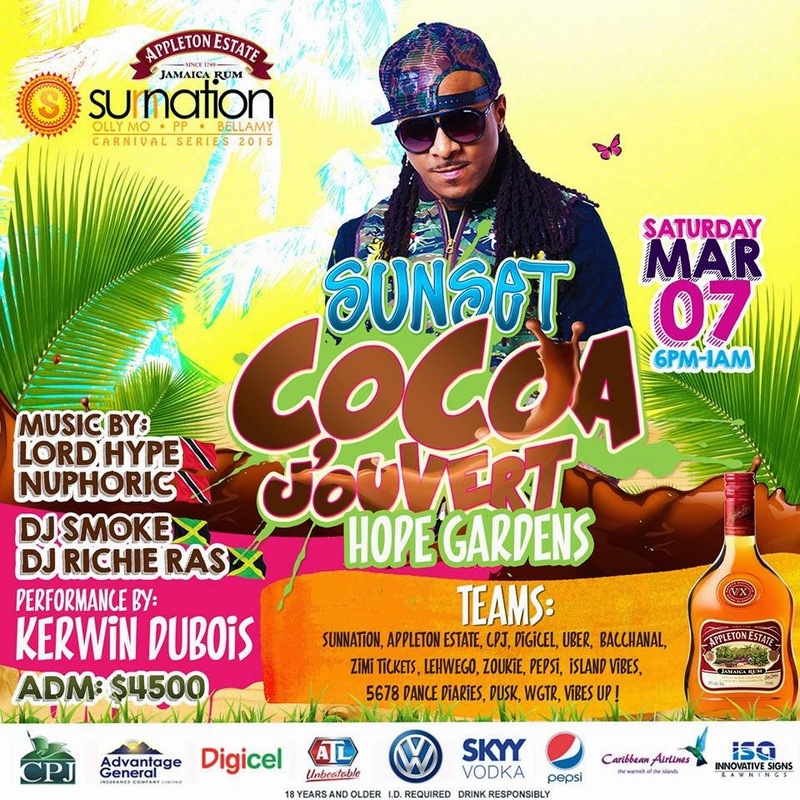 This season, I got of to a late start but I know I picked the right event to start with…Sunset Cocoa Jouvert. Friday: Bacchanal Opening night at Mas Camp. I am a socaphile…I ADMIT IT. I love the gyrating and wukking up my body, so it was a no brainer that last weekend I would venture to Mas Camp for the start of the Bacchanal season. DJ Smoke, DJ Sanjay & DJ Richie Ras played all my favourite soca tunes which kept me feteing all night long.